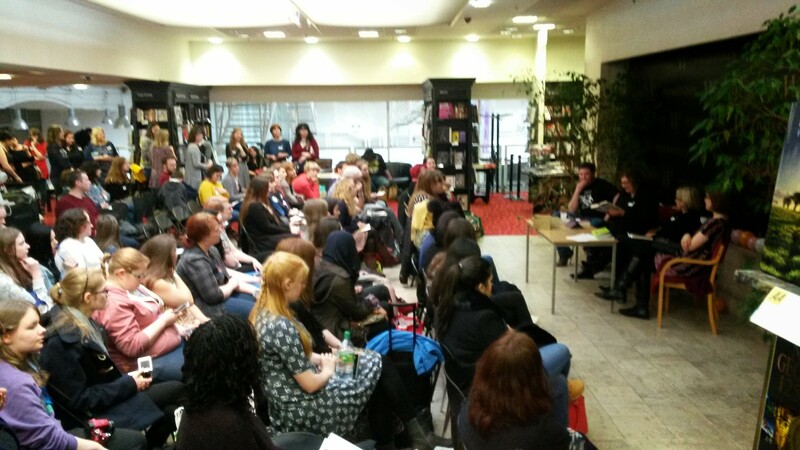 On the 28th Feb I took the fast train to Birmingham for the first ever UKYA Extravaganza, organised by YA authors, Emma Pass (of ‘ACID’ fame) and Carnegie nominated Kerry Drewery. We met in a local pub where we conversed with great erudition and insight on weighty matters like who had the best bookmarks. Here’s a photo of us having lunch. 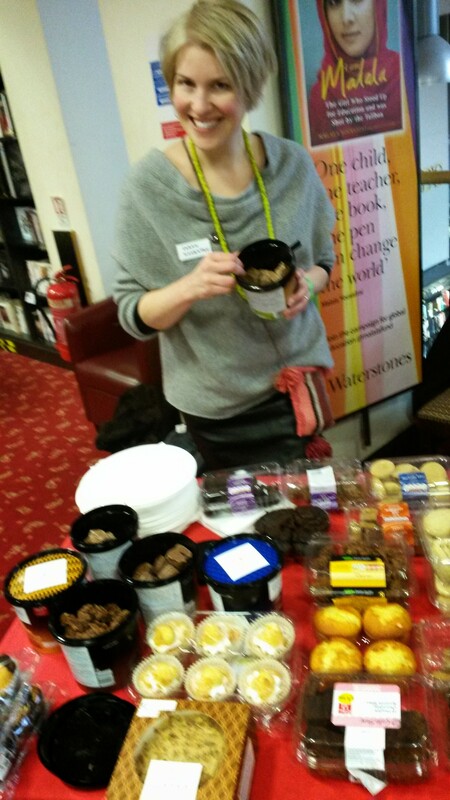 That’s award winning author Bryony Pearce taking our orders, bless her. Several pints later we all staggered across the road to Waterstones and headed for the cake table. It was daunting to see the number of bloggers and vloggers and YA fans start arriving, and even more daunting to see how old they were. I mean, shouldn’t they be busy burning their initials into a park bench? 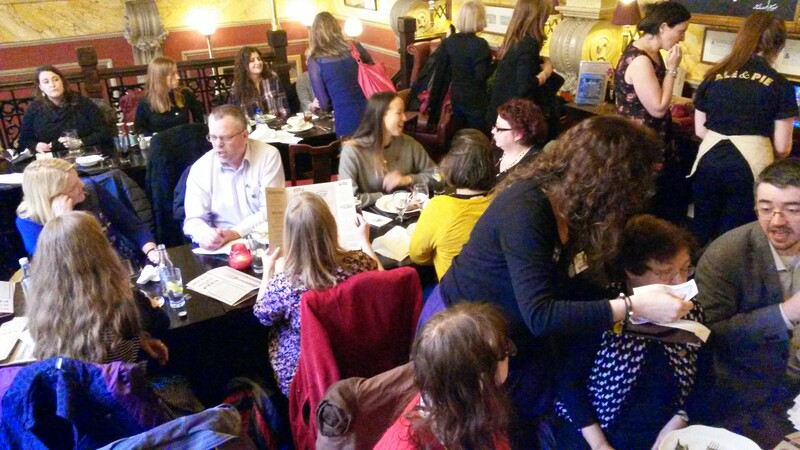 There were 35 of us writers, and over the course of the following two hours we each did a minute slot up the front, introducing ourselves and our books and taking questions (the bloggers were very sweet to pretend not to know the answers already). Thanks to Emma, Kerry and Gem and her team at Waterstones for an absolutely brilliant day. There’s going to be another one in Nottingham in October, so keep your ears peeled. *they weren’t but I upgraded to first and so avoided being spattered in blood and vomit. Next Post Is Social Rejection the Key to Creativity?